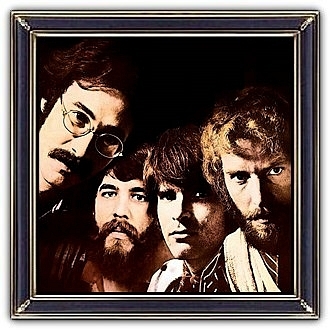 Creedence Clearwater Revival, often shortened to Creedence and abbreviated as CCR, was an American rock band active in the late 1960s and early 1970s. 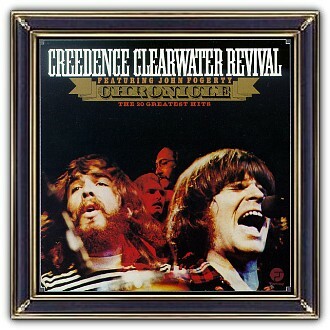 The band consisted of lead vocalist, lead guitarist, and primary songwriter John Fogerty, rhythm guitarist Tom Fogerty, bassist Stu Cook and drummer Doug Clifford. 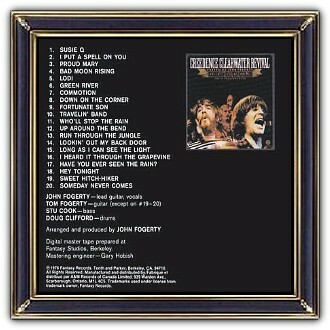 Despite their San Francisco Bay Area origins, they portrayed a Southern rock style, with lyrics about bayous, catfish, the Mississippi River, and other popular elements of Southern US iconography, as well as political and socially-conscious lyrics about topics including the Vietnam War. The band's final album, Mardi Gras, was released in April 1972. In October1972 the band broke up!